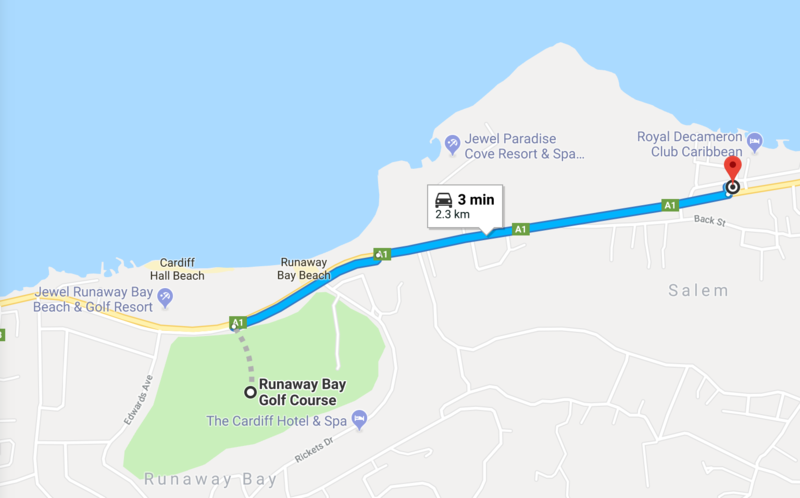 Runaway Bay is a very small town situated on Jamaica's popular North Coast, between the two major resort towns of Montego Bay and Ocho Rios. This is the beach at Runaway Bay in St. Ann. Google Earth View, showing the sweeping arc of the bay, with its gorgeous white sand beach. 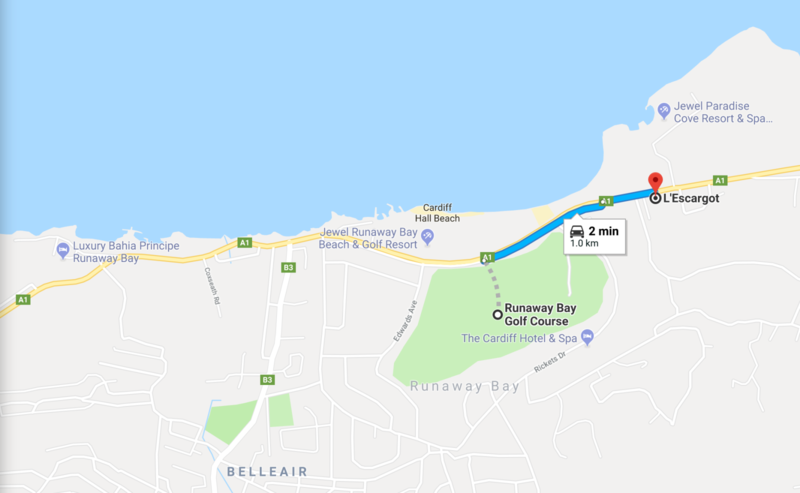 The North Coast Highway runs close to the shore, with hotels and villas on the sea side and a golf course and more villas on the South side. 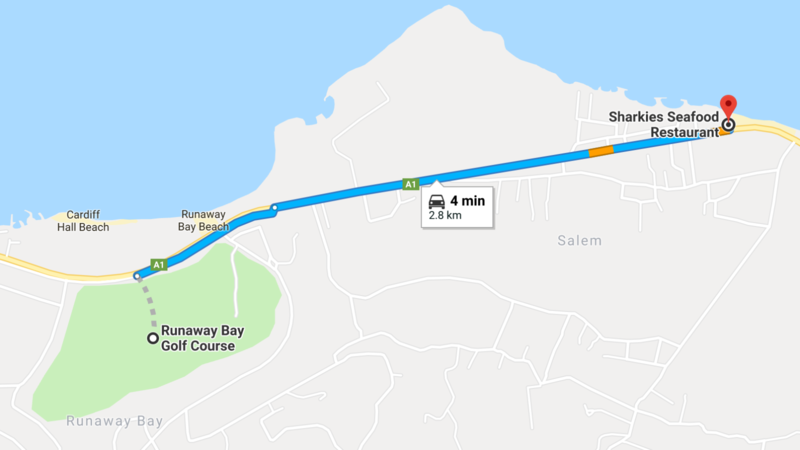 The Ultimate Jerk Centre, 6 minutes drive West. L 'Escargot Restaurant, just 2 minutes drive East. Resort Divers & Water Sports at Sharkies, and Sharkies Seafood Restaurant, 4 minutes drive East. Scotchies Jerk Centre Drax Hall, 18 minutes drive East. L & M Meats Specialty Grocery Store, 3 minutes drive East.